Cosmic Energy – Energy of Life Cosmic Energy is another name for Life Force Energy. It is the energy flowing throughout everything. Everything in the universe is made of energy. Energy is everything. Energy cannot be destroyed it can only be transmuted, i.e. converted into something else.Additional names for Cosmic Energy include; super-consciousness, higher consciousness, or supreme consciousness, chi, prana, and life force energy.Cosmic Energy is essential for you as a physical and spiritual being. It is key to living a happy and healthy life. It is key to awakening spiritually, psychically, and it is key to ascending, and expanding consciousness.Cosmic Energy is essential for life to continue in an individual and collective sense. It is the fuel for action, life, and being.Cosmic Energy heals and improves your mind, body, and spirit when you connect with it and it boosts intellect and intuition.Cosmic Energy makes up the Earth, it is the Void, the Divine as well as Space, and it makes up All That Is. Cosmic Energy is responsible for maintaining order and balance throughout the Cosmos. It makes up you and everything else in existence and it is the space between.This “magical” energy still calls up our attention that is even getting greater and that’s why it would be appropriate to summarize it’s very long terminology. In the literature it is usually described as cosmic energy. That’s how we called it in our empirical research and I think that this name is appropriate. Because of the same reason it would be better if we call the first part of cosmic energy, which had been up to now in our research called “energetic space”.These cosmic energies, as millions of others, have always been available in the Universe. 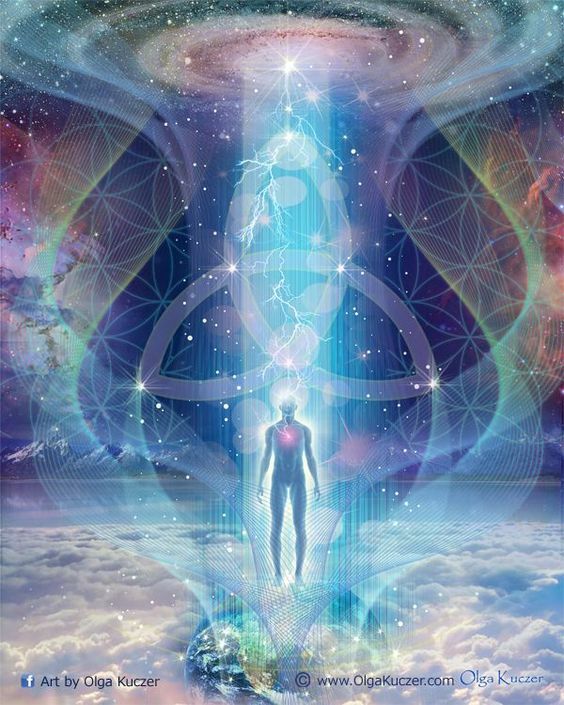 By becoming aware of the Cosmic Energy which is flowing throughout everything, interconnecting all of life, and present between time and space in the void, you’re one step closer to being able to translate this pure energy into clear answers, knowing and insight you can understand.The energy flows within you, in its purest form. It is transparent. It doesn’t have any color of its own. You with your experiences and impressions, and thoughts and imagination, and with the feelings and emotions, utilize your inner flowing energy to manifest life.If you understand the inner flowing energy, you become more careful, with what kind of thoughts, you add to your energy, or what kind of feelings and emotions, you add to it.The cosmic energy inside is ever-flowing. Sometimes the flow is strong and sometimes the flow is weak. In the morning time, the inner flow of energy is high, and any action taken in the morning time, allow you to experience the best result, out of your actions. As the day, progresses, the cosmic flow within the body, begin to slow down, for some time, and as sunsets, the flow within, again to rise up, within the body.It’s very important to understand the flow of cosmic or prana energy inside and align yourself with it. Unless you realize the upward and downward movement of the cosmic energy, you can never schedule your task correctly.Your cosmic energy doesn’t know, what kind of use, you will make out of it. People misunderstood God and its creation hugely and thus, creates hell for them. God or creator has created you, in his own image, not in the physical form, but with your essence. The essence of you and the creator is one.Everything in the world vibrates at a certain vibration. Everything in the universe as well as on the earth as mountains, trees, rocks, houses, cars, tables, people, animals etc. anything solid is really a mass of molecules, atoms, sub-atoms, electrons, etc. vibrating very slowly. They may all appear to be solid but in fact they are just tiny particles vibrating slowly. In fact, just as we do. After all we are nothing but trillions of particles vibrating at a particular vibration and each of those particles is 99% space. 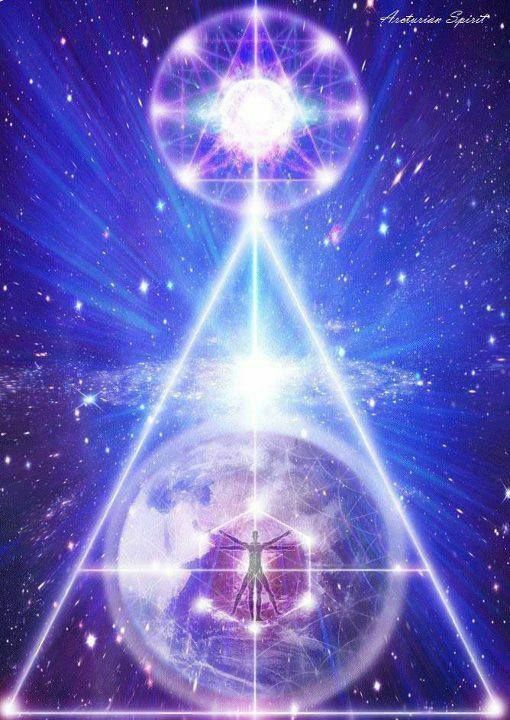 We live in a 3rd dimensional world but energy crosses the dimensions and the worlds. Energies vibrate from the lowest, densest, darkest, destructive energies to the highest, lightest, loving, creative frequencies. When we connect to universal energy and receive Attunements we begin to bring down into our bodies a higher frequency of energy. Our bodies slowly begin to vibrate at a higher level. We begin to take ourselves, to a higher more loving harmonious level of existence.Everything is energy and we are all energy. Everything is part of a gigantic whole. Including us. The cells and molecules in our bodies are made up of the same atoms, electrons, carbons, etc as everything in the universe. Our bodies are made up of 70% water and recently it has been proven that not only does water have memory, not only can it be influenced by loving thoughts and words, but that there is water in space. That space is not the vacuum we have always thought but that it is 70% water vapour. 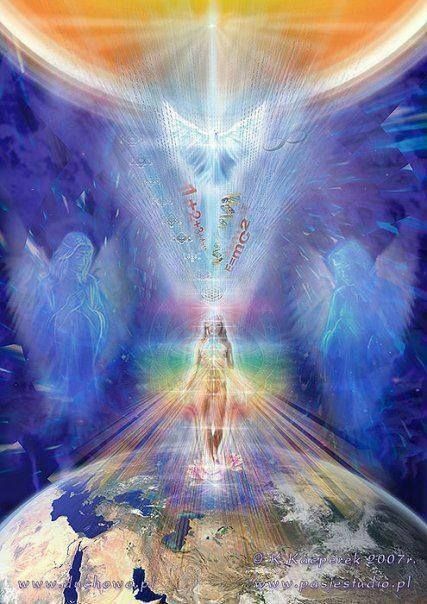 As energetic beings therefore, our energy can connect to all other energy. As energetic beings therefore, our energy can connect to all other energy. 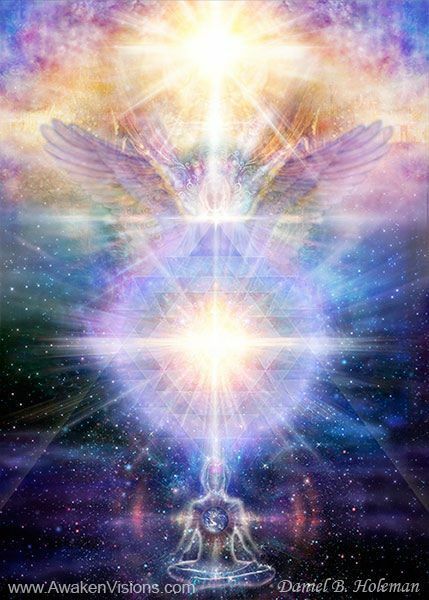 Cosmic energy is also known as the energy of supreme consciousness and intelligence and we are surrounded by it everywhere and all the time.Cosmic energy consists of three energetic parts – the aura, the zones and the inter zones. Ether consists of two energetic parts – the zones and the inter-zones. The cosmic energy and it’s three energetic parts have been used by people for millennia. Einstein disregarded ether by his unshakable logic. Ether isn’t acted upon by gravity, it’s not material – ether is “nothing”. It’s invisible, it can’t be measured nor weighed. We can’t calculate it so “nothing” can’t exist. The logic and knowledge of modern physics don’t allow scientists to protest against Einstein and to accept again that ether exists. The modern physics just isn’t able to accept the existence of ether based on it’s knowledge and therefore it must reject it.However, immaterial or more likely slightly material energetic ether does exist. The energetic parts of cosmic energy have similar properties to electric energy in many ways. By components of unknown principle that cause cosmic energy there is an effect called “suction by a point”, which is similar to that of electrons. 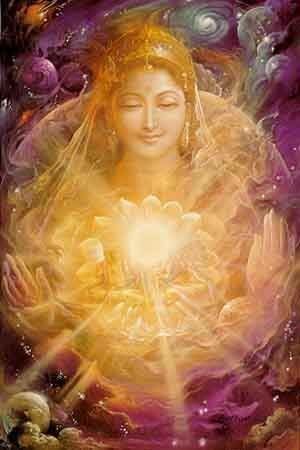 The cosmic energy flows from areas with greater energetic levels to areas with lower energetic levels. While the transfer of electrical energyhappens immidialtely, the cosmic energy transfers between different sources at much slower rate. However, some properties of cosmic energy differ from those of electrical energy. The electromagnetic waves don’t penetrate Faradays cage but this is not true with cosmic energy. If we place a source of cosmic energy into a safe (any other source of cosmic energy), they are in interaction and the final value is a sum of both energetic sources. The energetic value of a matter (the level of cosmic energy) is going up for example with increasing pressure on a given matter. The universe provides unlimited energy all around us – energy that we can tap into when practicing Taoist meditations or exercises, like Chi Kung or Tai Chi, and we feel energized and grounded with the chi flowing through our bodies during these practices. But, what if you could channel this energy directly to heal yourself and others too? That is exactly what we practice with Cosmic Healing. With Cosmic Healing, we channel pure Cosmic Chi and use this energy either with the intention focused on self-healing or directing the energy to heal others. that knew the equation of the linear relationship between the intensity of their etheric potential of their body and their better health very well. If we evaluate megalithic constructions from the cosmic energy standpoint, we find out that a rock of a point shape placed into the aura of a water stream or into a place where there are zones of that water stream it Gaines energy from that water source and it starts to be a menhir. With respect to specific weight and composition of that rock this standing point – menhir – gains greater energetic value than a standing point – a man – would gain. This rock works like an energetic storage battery. Upper streams that are more “dynamised” with faster flow and with waterbed made of stones show greater energy than lower streams with slower flow and with a soft waterbed. This is also emphasized by the fact that menhirs are situated in the upper parts of water streams, especially in their inner bends, where the zones are denser and create greater energetic value. This can be easily verified by a simple experiment. We wind a hose around a rock that is about 2 metres high. The value of it’s aura could be modified by changing the number of threads or by changing the intensity of the water flow. However, the energy doesn’t go up quickly. The cosmic energy transfers very slowly as stated above. It’s not like an “acceleration” when we press a gas pedal in a car. The matter of the rock has a significant energetic inertia and the energetic increase takes place over a time period that could last from tens of minutes up to hours depending on it’s mass. Similar energetic “dope” (an increase of cosmic energy on the celular membranes of the cells in a human body) could be reached when a person sits on a chair that is wrapped in tens of threads of a plastic hose with flowing water. The rock could be activated not only by the energy of water flows (underground wells, streams, rivers, sea streams), but also by other energetic sources like for example: metals, fire, thunderclouds and many other sources. It’s not easy to believe the fact that ancient people already had the knowledge about etheric energy that our civilisation will now only start to learn.